So, the curtains are off – Canvas 4 has been officially launched today. And the specifications as well as pricing is grossly disappointing. When they first launched Canvas series phone, I had left no stone unturned to sing their praise. They were offering above average phone for below average price. That was their USP. Why am I disappointed? Lets look at the phone specifications and pricing to understand it further. Canvas 4 is a successor to the popular Micromax A116 Canvas HD which was launched in the Feb of this year. Here are the its specifications. If you compare Canvas HD A116 and Canvas 4 A120, there is not much of a difference. Both are quad-cores with 1GB RAM and very similar screens. Yet, the price difference between the 2 is nearly 5000 rupees. Many users were expecting Micromax to launch a much better phone than what they have offered. They were hoping for a better processor (MT6589 Turbo?) and more importantly better RAM and battery. When Canvas HD A116 was launched in Feb this year, it had the specifications that matched the top of the line phones from other manufacturers and their price was nearly half of other international brands, and that’s what made Micromax quite attractive. With A120, users have atleast 10 different options that they can go for in similar price range and similar specs. Canvas 4 is priced for Rs. 18000/- very near to Samsung phones with similar specs. I wonder why would anyone go for a Micromax rather than going for Samsung at Rs. 1000 or Rs. 2000 more? That’s not all – There are other Chinese manufacturers like UMI and Zopo who are now offering better specification phones at pricing that is lesser than Rs. 15000/-. Probably the only thing I have liked in new Canvas 4 is that it has brushed metal anodized aluminum body that is slim at 8.9mm, and probably looks much better than its predecessors. But, I doubt that one thing will be enough for people to buy Micromax. Infact, I am sure many people who have pre-booked Canvas 4 would be looking at refunds given that there are much better options currently available for them in the market. In my opinion, Micromax has moved away from its DNA of offering great products at great pricing. Canvas 4 is honestly an average product with pricing that will put a frown on many faces. 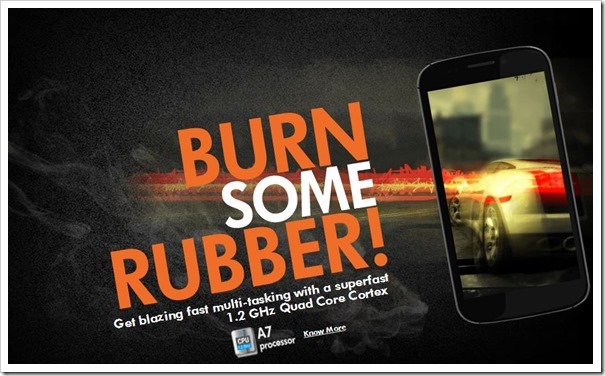 Sorry Micromax, you have to do better than that! yes all the comments given by peoples are being simple to understood,however a new chinese company xiomi comes with some amazing features with a f9 price,and along with its good look…..but for now it banned for selling its products after a case acted by ericcson………. The Bad Camera of MMX, however now it is 5MP, 8MP or 13MP its not real as its pixel, the resolution is big & The file size is also 4 to 6MB but the image quality is like vga photo which is looking like that some one edited the vga image by software with a large resolution. The phone is being sold due to its android feature. And, You said it right, Micromax is moving away from its DNA of offering great products at great prices. yes i was also waiting for launching to canvas 4 but now i so disapointed after looking to this phone feautre… so bad and poor configration in 18000/- so finally i will think about to buy samsung grand which is 19000 with the great great features. Nice review,the specs seem similar to Intex aqua i5( planning to buy),pl share your views on comparison with Intex aqua,Umi X2 & Canvas4 . I disagree with one point where you say ” Samsung phones with similar specs are available for 1K-2K more.” which is not true. But anyway the CANVAS 4 is totally disappointing. The moment it was unveiled I went ti a local dealer and bought the Canvas HD. Most of the ppl who prebooked are gonna taking refund. With Canvas 4 MMX has surely axed his own legs. So I am hoping that they will learn from this mistake and gonna release Canvas 5 very soon with some impeccable features. 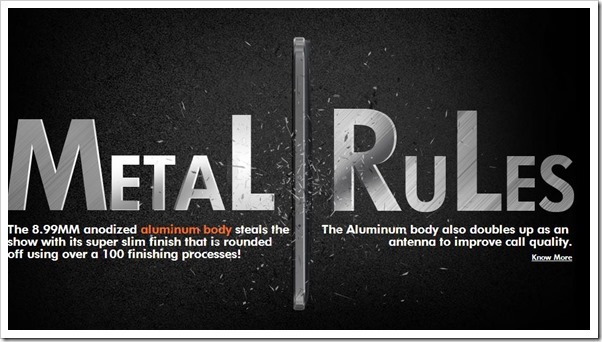 MMX – not up to their mark! What we expected, and look at what they offered? We expected full HD, 2GB ram, if not 2GHz – at least 1.5 GHz processor, 4000mA battery …..
At 18K they are offering the advanced features of pin the screen, half screens, blow to unlock, … how often (only) these features would be used by paying the hefty price of 18K??? Without a blink or second thought, I cancelled my booking and asked for a refund! Thanks MMX, for keeping an option of cancellation. MMX kept this cancellation facility, probably because they themselves knew that the rumors were not going to be true, we were the fools expecting the unexpected from you. Really there was no need for MMX to make this BIG hype about a new model which was slightly modified with some “specs”, not improved with “FEATURES”. As per a famous saying, henceforth, I will even check the temperature of buttermilk before consuming it as I got my tongue burnt due to milk!!!! @Jayant completely second your opinion. I have spoken to atleast 20 people since yesterday and not one of them is happy. As I have mentioned in the article, it is sad to see Micromax loosing their USP. Nam bade aur darsan chote. Suraj – For me the most important aspect for an ANdroid phone is the CPU / RAM / screen.. on these most important counts MMX canvas 4 fails. There were rumors that Canvas 4 going to feature 8 core processor…but it is just like every other.However, I saw canvas 3D recently which my frnd got. It looks quite good. Any reviews about it? * 13 MP – to be honest dosent really matter. Most photos are for FB and Instagram where 8 MP is sufficient. * Rest is honestly just software stuff that is hardly used. And on the processor side, the dual core’s of Samsung and such manufacturers actually beat these quad cores. The software levels are much more refined. And brand names are much more preferred than Micromax, no matter how far they might have come. All in all very very disappointing!